An income statement, as the very name suggests, is an account of your income and expenditures as well. For large companies on a larger scale, an income statement is an account of the profits made and the net income of annual year or during a fixed interval of time. 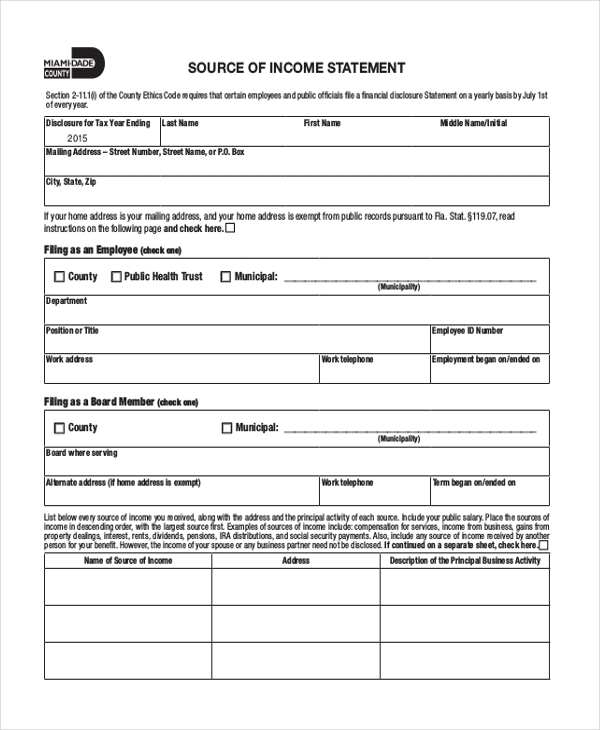 Income statements usually have a fixed format, as demonstrated in the Statement Forms . Here you’ll find a wide range of forms based on your requirements. 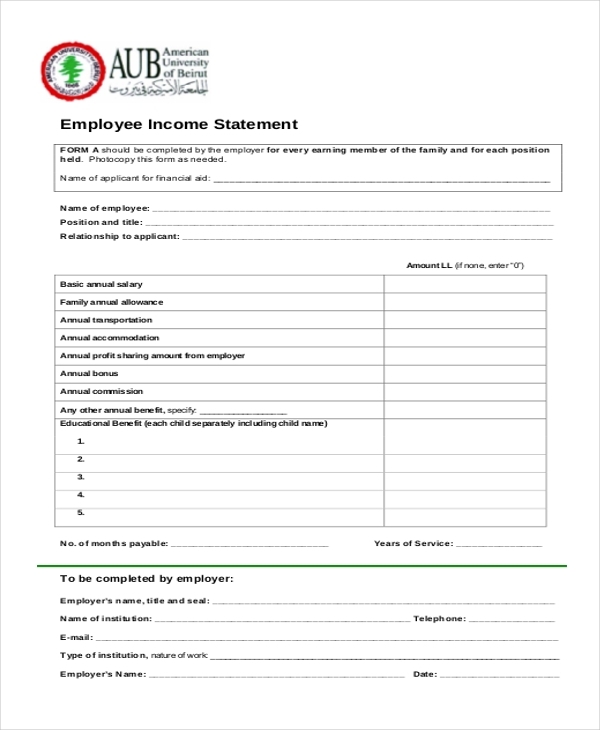 Accountants and other people dealing in finance would be able to make use of the accounting Income Statement Forms presented here. It is formal in nature and sticks to the correct format. An income statement is nothing if not comprehensive or detailed. 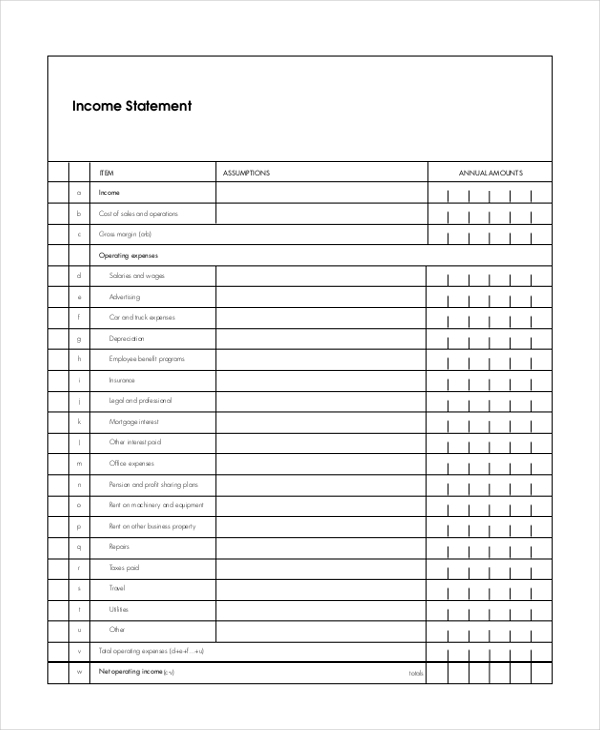 That is exactly what you get with this income statement template provided here. The template comes in a pdf format. 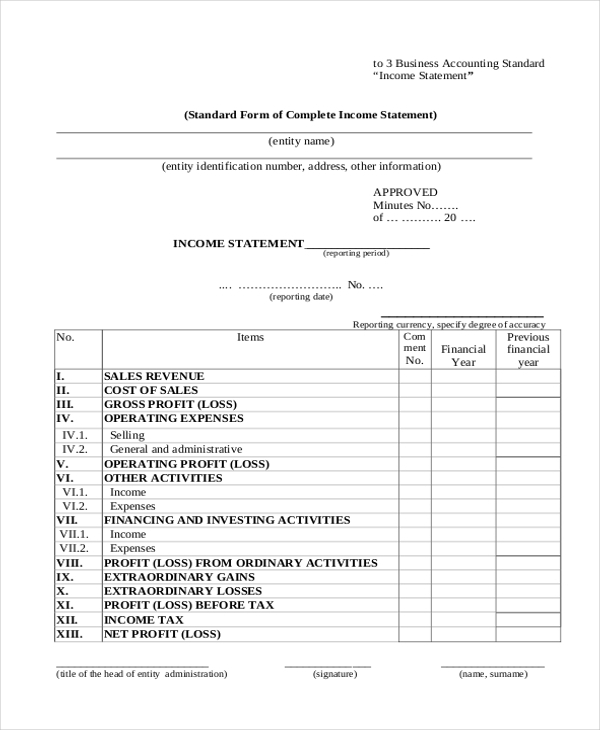 If you are already familiar with the overall format of an income statement, this blank statement template would be perfect for you. Since you’d be able to format it the way you want. Simply coming up with an income statement isn’t enough; you have to analyze it as well. To present an analysis of the income statement, you could take the help of this statement. Most income statements state the costs incurred or the expenditure in a detailed fashion to give an idea of net income. That is exactly what you get with this template here. In a business, you would have to keep a track of profits, losses, and net income. That becomes increasingly easier with this business income statement example. It comes in a pdf format. Any fundraising event too would require an income statement to be presented by those in charge. 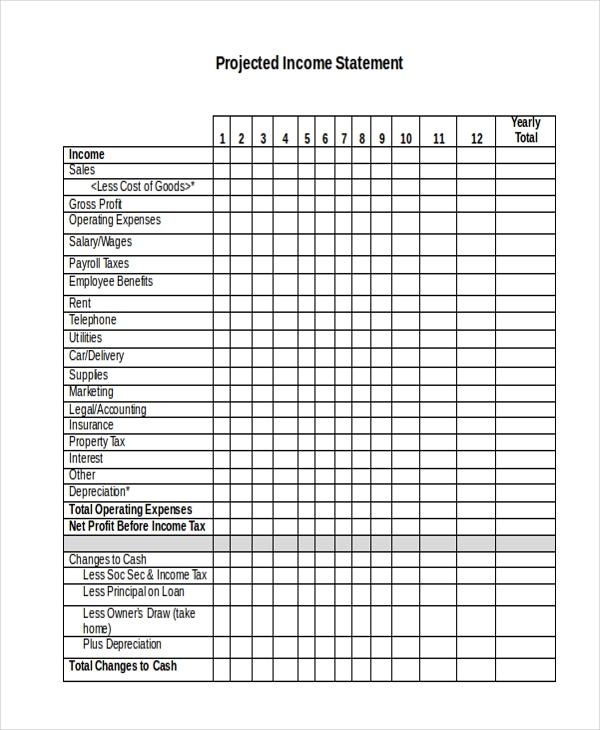 For that, you can take the help of this income statement template provided here. 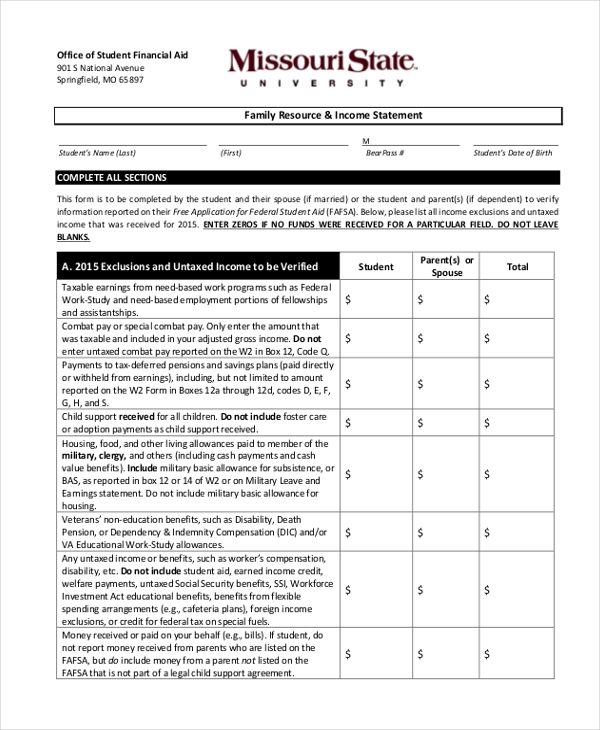 This income statement template displays the net income of a family and the expenditures as well. It would help you plan your expenses and your finances in an orderly fashion. An employee’s income statement would include his net income after the numerous deductions that are carried out. 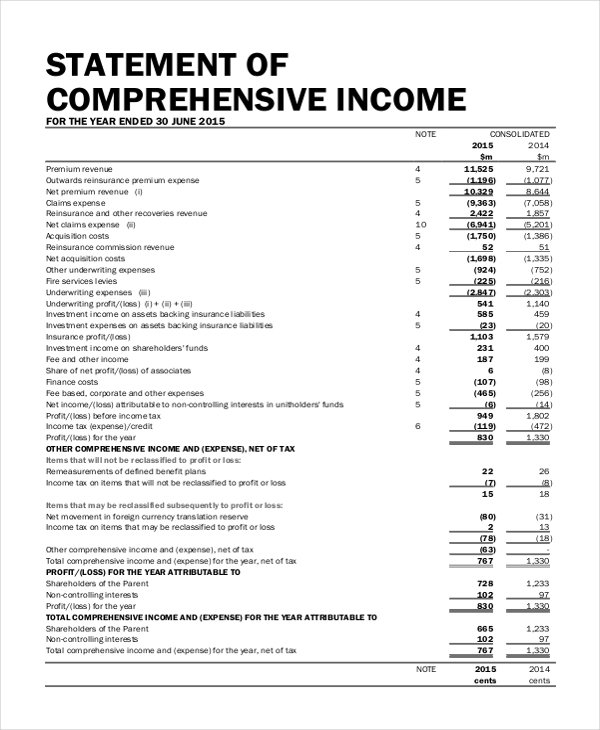 All of the calculations are shown clearly in the income statement template here. 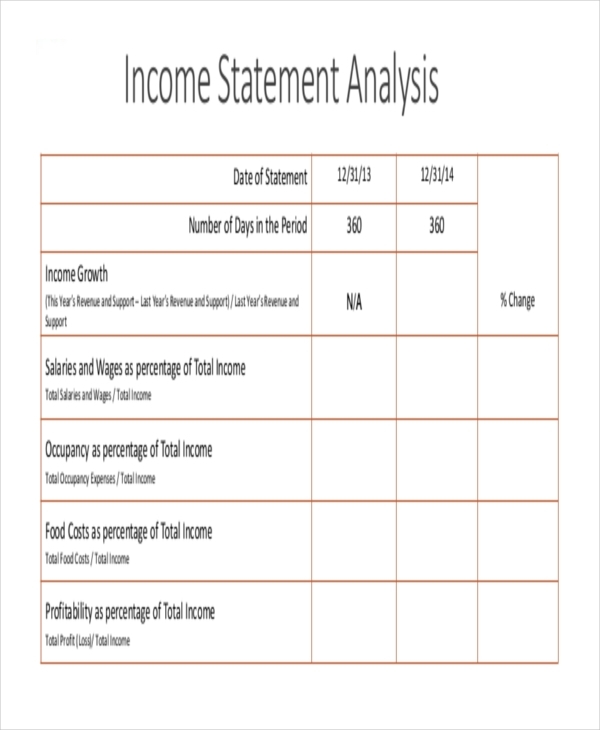 This income statement template comes in a pdf format and gives you a perfect idea of what such an income statement looks like. It would also help you list all your information in a neat manner. A projected income statement should be detailed, comprehensive, to the point, precise and compact. That is exactly what you get with this projected income statement template. It also comes in a pdf format. This income statement is pretty impressive and maintains a formal tone throughout. It comes in a pdf format which allows it to present the information and other details in a logical manner. 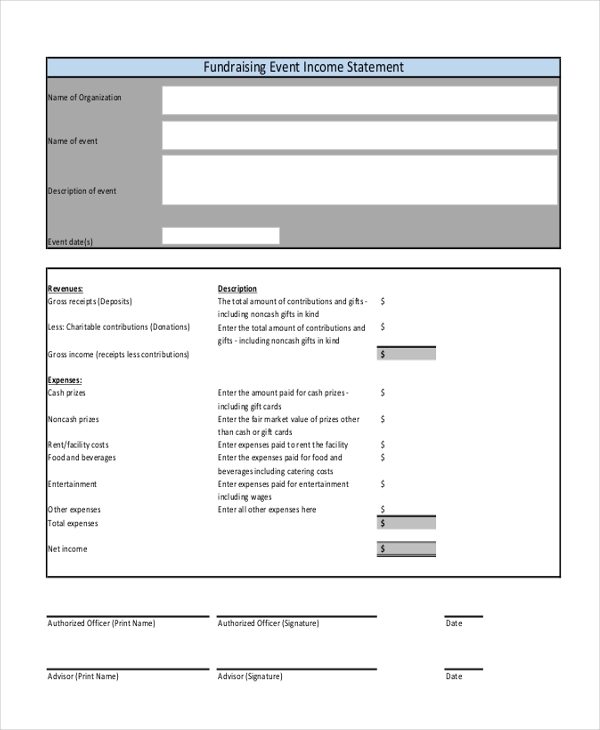 This income statement template comes in a pdf format and can be used as an employee’s income statement. Plus, it works as a great sample to follow while you create for your statements. 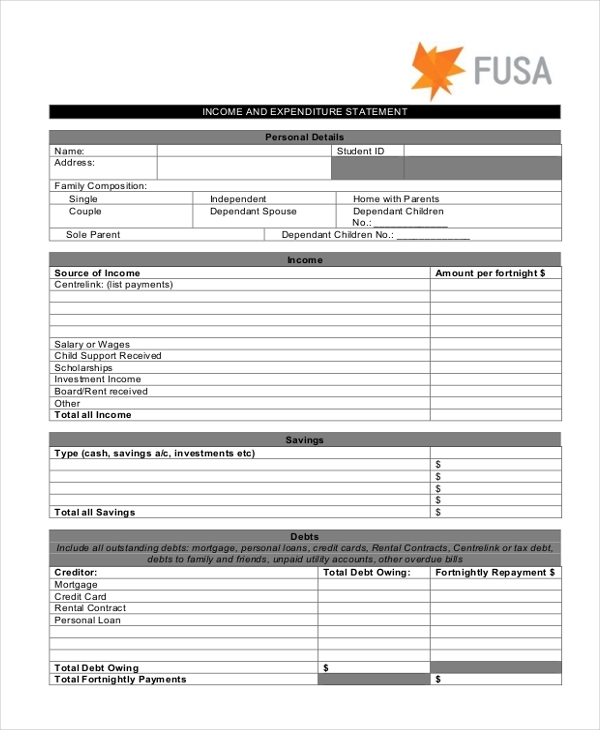 This income statement may be used to plan the finances and the expenses of a family. Here you can list the net income of the family and the expenses that are to be kept in mind. The templates have been designed by professionals who are perfectly aware of what an income statement looks like. So it doesn’t matter if you haven’t seen or created one before; you can always fall back on these amazing templates. The income statements are practical and logical. They aren’t ambiguous or do not present information in a clear manner. One look at them would tell you what the income statement is all about. Plus, the income statement templates here are very concise, compact and to the point. 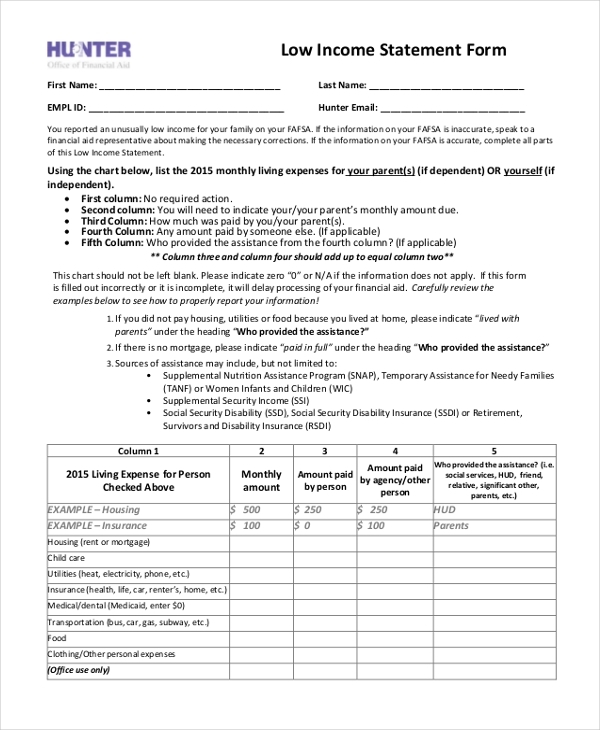 How to Use the Income Statement Form? The best way to keep a tab on your finances, income and expenses are to come up with an income statement. 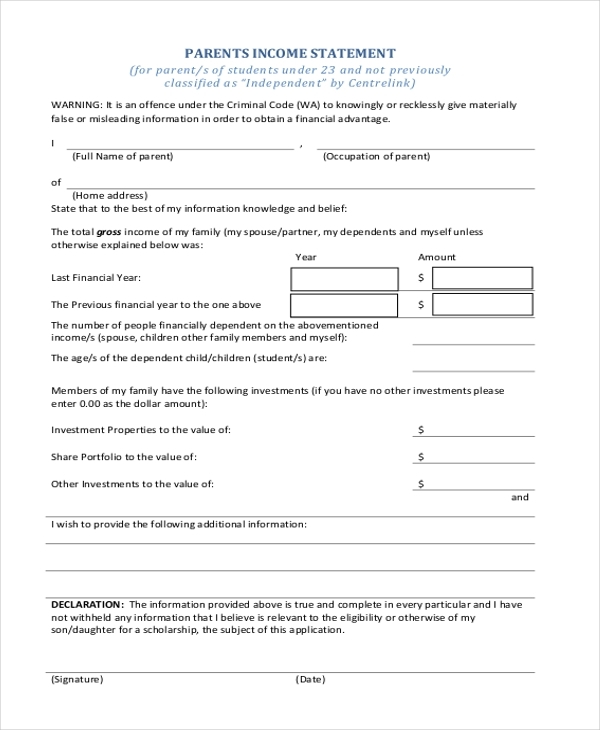 You can do that with the help of these income statement templates that are provided here. They come in easy to use formats, so you wouldn’t require special software to download or edit the templates. Since these templates come in either a Word or PDF format, you’ll be able to edit and customize them. Once you browse through the list of templates provided here, you can shortlist the ones you think suit your needs. Based on that, you can download the template and then use it the way you deem fit. 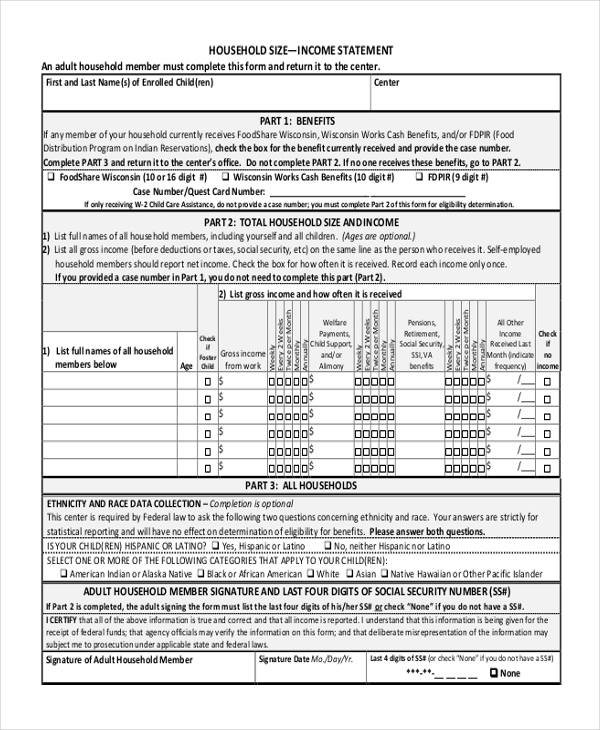 You can also see Sworn Statement Forms. Income statements are also referred to as financial statement forms. Irrespective of what you call them, you can use these templates to draw up a neat and to point the income statement that doesn’t beat about the bush. 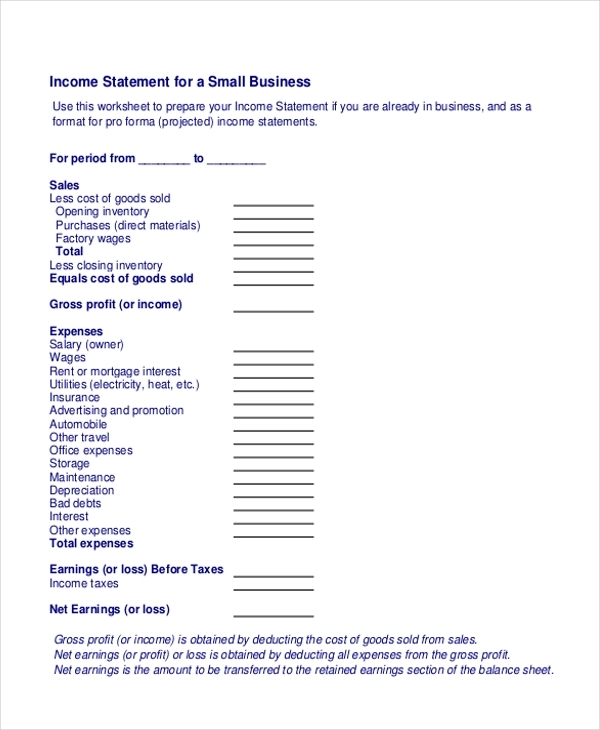 Also, the income statement templates that you see here are really easy to use.